Christine Affolter is the head of secretariat of the international network ENSI (www.ensi.org). This network of international experts has been set up under the umbrella of OECD in 1986 and contributed to significant developments of EE and ESD. ENSI is welcoming new network partners warmly, Christine is the contact person. She holds degrees in teaching, andragogy and organisational development, and looks back on a long career as a teacher, teacher trainer and head of department for studies for principals in Switzerland. 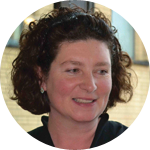 Since 1998 she works in the fields of EE and ESD in national and international organisations. The large multilateral project Codes (http://www.ensi.org/Projects/Our_Projects/CoDeS/) was initiated and developed by Christine in cooperation with 29 partner organisations from 17 countries. CoDeS explored criteria and tools for successful collaborations among schools and communities. A new project on ESD in Vocational Education and Training (VET) in the field of sustainable tourism was developed in 2016- Christine initiated and supported the project development processes. In Switzerland Christine is also a project leader in the department for ‘further development of ESD’ In the national centre of excellence for ESD in Switzerland, Education21 (www.education21.ch). She has contributed to several publications, her themes reached from school development through ESD to the role of teachers and principals in ESD-schools. 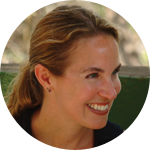 Nicole Ardoin is an associate professor in the Graduate School of Education and a senior fellow with the Woods Institute for the Environment at Stanford University. Nicole’s research focuses on environmental learning and sustainability practices, with an interest in informal settings, integrated social-ecological systems, and sense of place. She also researches the use of education and communication approaches to engage individuals and communities in collaborative decision-making related to natural resource management. In addition to research, Nicole has worked for more than two decades in the nonprofit environmental, education, and informal science sectors. She is particularly committed to community-engaged research as well as supporting the research-and-practice interface. 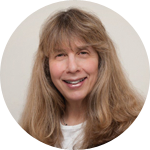 Nicole serves as an Associate Editor of the journal Environmental Education Research and on the editorial boards of the Journal of Environmental Education and Children, Youth, and Environments. 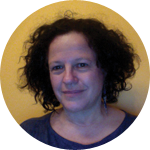 Barbara Bader is professor in Science Education and Environmental and Sustainability Education at Laval University, in Québec City. Her Chair, the Chaire de leadership en enseignement des sciences et développement durable (http://www.cle-sciences-dd.fse.ulaval.ca/) was created in 2012. She is also head of the Masters microprogram she created in Environmental and Sustainability Education. Her current work concentrates on the renewal of science education and interdisciplinarity in schools. 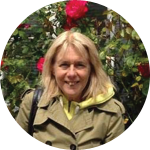 She works with teachers to renew pedagogical practices in elementary and high schools. She also studies youth cultures, empowerment, agency, and their relationship to scientific knowledge, and is inspired by critical pedagogy. She is a member of three research networks: the Réseau intersectoriel NotreGolfe.ca, the Centr’ERE at UQAM, the Environment-Development-Society Institut and CRIRES.ulaval.ca at Laval University. She is also actively engaged in the process of Laval University in sustainable development. Saad Benamar, PhD in Plant Physiology at the University Henri Poincaré (Nancy-France, 1998), PhD in Forest’s Ecophysiology at the University Moulay Ismail (Meknès-Morocco, 2005) is, since 1991, Professor of EE, ESD and ecology, head of Biology-Geology Department, at Sidi Mohamed Ben Abdellah University (Fez-Morocco). At the beginning of 2012, Professor Benamar became pedagogic coordinator of a Master on Life sciences education, and Director of the laboratory of Urban and Plant Environmental Sciences. 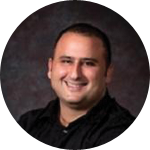 His research is focused on both the evaluation of the effectiveness of EE and ESD and the strategies for their strengthening in the Moroccan formal and non-formal educational systems. 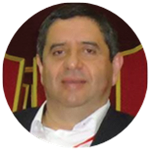 He has been involved in many national initiatives related to EE and ESD during the last two decades in the context of both university projects and associative activities as a Vice-President of “Moroccan Forum of the Environmental Initiatives” and of the “Fez Botanical garden Association”. Professor Benamar has participated to the negotiations of the COP21 at Paris and contributed to the work of the international Scientific Committees of the 7th and 8th WEECs held in Marrakech and Gothenburg, respectively (Email: saad.benamar@usmba.ac.ma). Machtelijn Brummel is a biologist and a senior policy-advisor, in the Dutch program Learning for Sustainable Development – DuurzaamDoor. 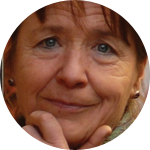 She is based at the Netherlands Enterprise Agency in Utrecht, where she helps to stimulate and implement social innovation (both in regional, national and international networks). Education, Learning and Facilitating vital coalitions are important pillars in her work. Her focus is on engaging the society in responsible and sustainable lifestyles, with multistakeholder processes. 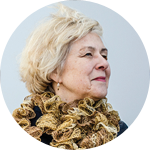 Machtelijn is the Chair of ENSI, a dynamic network of countries, organisations and individuals working on Education for Sustainable Development and she is a member of the International Advisory Committee of the UNITWIN network PERL (Partnership on Education and Research for Responsible Living). John Dale has been planning, programming and designing educational environments for over 25 years. 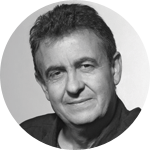 In 2007, he was named a Fellow of the American Institute of Architects (AIA) for this focus. By defining small learning communities which boost student achievement and galvanize community involvement, he creates high performance learning environments that are widely recognized models of regional and national significance. Mr. Dale also promotes green schools. Building on evidence-based research, he puts in practice the theory that students are healthier and learn more effectively in well-ventilated, acoustically balanced, naturally lit spaces with strong connections to the outdoors. As Principal, and Pre-K–12 Studio Leader for Harley Ellis Devereaux (HED), a national Architecture and Engineering firm, John’s projects have been honored with numerous awards at national, state and local levels. He has taught at USC, MIT, UCLA, California State Polytechnic University, Pomona and participated in symposia, design reviews and competition juries. His articles and projects have appeared in books and journals, including: Green Technology Magazine, LA Architect (Form Magazine), Learning by Design, Spazio e Società, Architectural Record, Faith & Form, the LA Forum for Architecture and Urban Design Newsletter (online) and CNN Style. John has just completed his term as Chair of the Leadership Group of AIA’s National Committee on Architecture for Education (CAE) and now sits on the Board of the CAE Foundation. He is also a member and Past-President of the Board of Directors of the A+D (Architecture and Design) Museum, Los Angeles; sits on the Board of Directors for HED; and is a member of the Advisory Board of the Armory Center for the Arts in Pasadena. Mariona Espinet is a Professor of science education at the Universitat Autònoma de Barcelona in Catalonia, Spain. After teaching middle and secondary general science, chemistry and physics she earned a master’s degree in Inorganic Chemistry at UAB (1980) and a PhD in Science Education at the University of Georgia, Athens (1990) thanks to a Fulbright-La Caixa scholarship. At present she is the coordinator of two research groups LICEC (Language and Context in Science Education) and Gresc@ (Education for sustainability, school and community). Her research and innovation interests focus on science teacher education for sustainability, classroom discourse and critical literacy in science education and education for sustainability, and school/community development in education for sustainability. 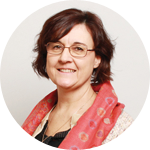 She is a member of ENSI (Environmental and School Initiatives) and has been the national coordinator of several EU funded European network projects on EE and ESD such as SEED, CSCT, SUPPORT, and CoDeS. 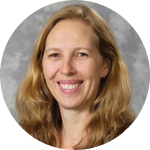 Dr Jo-Anne Ferreira is Associate Professor and Deputy Head of School (Teaching and Learning) in the School of Education at Southern Cross University, Australia. 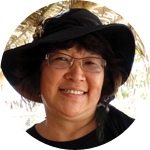 Jo-Anne’s research field is sociology of education, with a special interest in post-structuralist theories of identity, embodiment and power, and environmental and sustainability education. Recent research focuses on systems-based change in teacher education and strategies and techniques deployed by environmental and sustainability educators to empower learners to become environmental citizens. She was co-convenor of the 6th WEEC in 2011 in Brisbane, Australia. 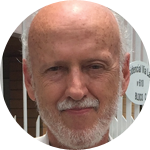 Paulo Freire Vieira holds a Ph.D. in Political Science from Ludwig-Maximilians Universität München, Germany. He is a Senior Research Professor at the Federal University of Santa Catarina, in South Brazil, where he coordinates a research Unit on Environment and Development. Besides, he is actually an associate researcher at the CentrÈRE (UQAM). His major research and teaching interests include human ecology, eco-development, common-property research and environmental education. With Masters degrees in Architecture and Secondary Science Education, and a doctorate in architecture education, Claire Gallagher has extensive experience in both design and education. She has taught a wide range of content and grade levels including K-12 math and science in New Jersey public schools, architecture design studio at Carnegie Mellon University, and teacher education courses at the undergraduate and graduate levels at Monmouth University and Georgian Court University; she developed the curriculum and served as Coordinator of Curriculum for the Charter High School for Architecture and Design in Philadelphia, and was the Director of Teacher Residencies at Frank Lloyd Wright’s Fallingwater for over 20 years. Dr. Gallagher is an active researcher in the area of pedagogy and school design, a published author, and a frequent speaker at conferences in the US and abroad. She is the Chair of the American Institute of Architects Committee on Architecture for Education’s Leadership Group, a member of the Advisory Council of the Academy of Neuroscience for Architecture at the Salk Institute in LaJolla, CA, and is currently a Professor of Education at Georgian Court University in Lakewood, New Jersey. While Dr. Gardner’s academic background is in biological oceanography, he has had a lifelong interest in environmental education and public awareness of science. 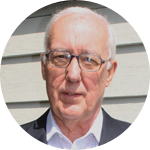 A member of the founding Steering Committee for the Canadian Network for Environmental Education and Communication, he organized the first EECOM conference and served as the Chair of the Board of EECOM for over 10 years. 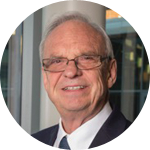 During his time as Chair, he focussed on capacity building and leadership development both within EECOM and within the broader EE community in Canada. He received the EECOM Award of Excellence in Environmental Education in 2009 for his service to EECOM. Grant has also served as an Advisory Editor for the Canadian Journal of Environmental Education, and as a member of the Board of the Canadian Forestry Association. He was a member of the core organizing committee for the Fifth World Environmental Education Congress in Montreal in 2009. Still active in retirement, Grant is a founding Fellow of the Learning Institute of the Canadian Wildlife Federation, and a member of the Board of the Environmental Education Commission, which operates a residential environmental education centre near St. John’s, Newfoundland and Labrador. 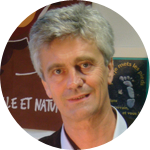 Roland GERARD est co-directeur et cofondateur du Réseau Ecole et Nature (REN), co-président et cofondateur du Collectif Français pour l’Éducation à l’Environnement vers un Développement Durable (CFEEDD), co-animateur et cofondateur de l’Espace National de Concertation (ENC) pour l’EEDD et membre du Conseil National de la Transition Ecologique (CNTE). Éducateur nature depuis la fin des années 1970 dans le secteur associatif, RG a participé à la création de Rouletaboule et Ricochets et de divers ouvrages. Depuis 2000 il assure la coordination politique des Assises de l’EEDD. RG a été décoré de l’Ordre National du Mérite en 2003. Articles en ligne. Paul Hart is Professor of Science and Environmental Education at the University of Regina where he teaches graduate and undergraduate courses in his subject areas as well as courses in research methodology and curriculum inquiry. 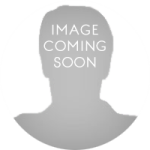 He is co-editor of the Companion to Research in Education and author of many publications, including Teachers’ Thinking In Environmental Education: Consciousness and Responsibility. His research interests extend from teacher thinking and children’s ideas related to environment, to sociocultural views on learning. His work has focused on exploring the potential of both critical and post-informed theories for research practice in writing beyond human-environment boundaries. 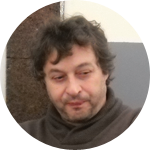 His recent work has focused on application of emerging qualitative research approaches and sociocultural views of learning and processes in young people’s construction of identity and agency. Currently he is an Executive Editor of the Journal of Environmental Education and a consulting editor/editorial board member for several journals including the Canadian, Australian and Southern African Journal of Environmental Education and Environmental Education Research. He has served several terms as a member of the Board of the North American Association for Environmental Education and has served on the grants adjudication committee of the Social Sciences and Humanities Research Council. He publishes quite extensively and has received recognition for his publications and for service work including the Journal for Research in Science Teaching research award, the North American Association for Environmental Education research award, the Melanson Award for outstanding contributions to environmental and outdoor education in Saskatchewan and the NAAEE Jeske Award for leadership and service to the field of environmental education. 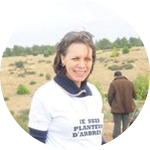 Scientific journalist and producer of programs on environment and sustainable development in English and French at Radio Nationale (International channel ) since 1991. Appointed Ombudsnan of the Moroccan Broadcasting Company (SNRT ) In 2008 to ensure the relationship between the public and SNRT TV and radio channels. Winner of several awards honoring commitment and awareness on environmental issues at national, regional and international level. Active member of several Moroccan, Arab and Mediterranean environmental organizations and associations, member founder of Arab Federation of Science Journalists, Coordinator / mentor of scientific and environmental programs in Morocco and Africa, selected as a mentor in the E- Learning programme by the World Federation of Science Journalists. Former Trainer/coach in science journalism with UNESCO and ISESCO, and expert in science and environmental education . Also a jury member of severals programs mainly “Hassan II award of the environment” & “Young Reporters for the Environment”. Moderator of the e-learning programme initiated by Mohammed VI Foundation for the Protection of the Environment (Young Capacity Building Project for Young Communication Professionals in North Africa since 2011). Mentor in the European Union program ‘Media Neighborhood Program’. Charles Hopkins is currently the UNESCO Chair at York University in Toronto, Canada where he coordinates a network of teacher education institutions from over 70 countries collaboratively working upon the reorientation of elementary and secondary teacher education to address sustainable development. Hopkins is also an advisor to the United Nations University and a developer of their global Regional Centres of Expertise in ESD. His relationship with sustainability and ESD goes back to 1986 when he presented to the Brundtland Commission. Previously, Charles was a teacher, a principal, and a superintendent with the Toronto Board of Education. A longtime leader in the fields of education, and ESD, Hopkins has lectured and presented papers in over 80 countries. His many awards are highlighted by three honorary PhDs, several honorary professorships, fellowships, senior advisory positions, civic medals, national awards, and The Sustainable Visions and Values Award of the International Beliefs and Values Institute. Professor Esther Kibuka-Sebitosi is a female South African citizen with a PhD focusing on vector-borne diseases, an MBA (Open University, UK/UNISA), an MSc and a BSc (Hon) in Natural Sciences. She is currently finalizing a Masters in Open and Distance Education (MEd ODL) a University of Maryland University College (UMUC), USA/UNISA programme focusing on Technology education and online learning. 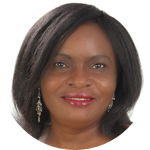 Prof. Esther Kibuka-Sebitosi is a unique University professor with Entrepreneurship skills, who combines multi-disciples to solve Africa’s complex problems under the Africa Renaissance paradigm. She is widely Published author and sought after International and motivational speaker. She is a mentor of young and upcoming entrepreneurs in the Green Skills and a member of the National Environment Sector Skills Development Forum of South Africa. 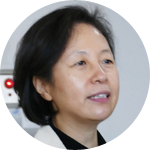 Dr. Sun-Kyung Lee is Professor of Science Education at Cheongju National University of Education in Korea, who specializes in curriculum development, teaching-learning strategy, and teacher education in environmental education(EE) and education for sustainable development(ESD). Professor Lee is vice-president of Korean Society of Environmental Education, and a member of ESD Committee in Korea National Commission of UNESCO. 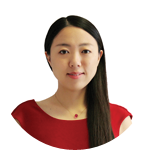 She has been involved with ESD actively in Korea, and beyond, since her contribution of policy development of national strategy for DESD in Korea in 2005. Professor Lee well understands the demands of close international cooperation in EE and ESD, and has shown distinguished activities with TEEN(Tripartite Environmental Education Network among China, Japan and Korea), ENSI(Environment and School Initiatives) and UNESCO. 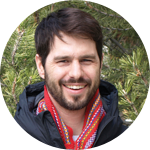 Alex Kudryavtsev (pen name: Alex Russ) is environmental education researcher, book editor, and online course instructor at Cornell University. He received PhD from Cornell University in 2013. His research focuses on urban environmental education and sense of place. 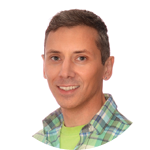 Alex develops and teaches online courses for professional development of environmental educators all over the world. Recently, Alex traveled seven continents to observe various environmental education programs and prepare for future publications. Alex regularly reviews manuscripts for major environmental education journals. Along with Marianne Krasny, Alex is the editor of the international book “Urban Environmental Education Review” (Cornell University Press, 2017). This book includes 30 chapters by 82 environmental education experts and professors from all over the world on various topics related to environmental education in cities. 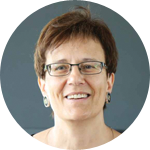 Professor Heila Lotz-Sisitka holds a South African National Research Foundation Chair in Transformative Social Learning and Green Skills Learning Pathways. She is editor of the Southern African Journal of Environmental Education and co-editor of the journal Learning, Culture and Social Interactions. Recent publications include an edited Routledge book on ‘Critical Realism, Environmental Learning and Social-Ecological Change’. She has served on numerous national and international research and policy programmes including as member of the UNESCO International Reference Group on the UN Decade of Education for Sustainable Development (2005-2014) and the UNEP Mainstreaming Environment and Sustainability in African Universities and Global Universities Partnership for Environment and Sustainability (2004-current). Currently she is PI for the International Social Science Research Programme on ’Transformative, Transgressive Learning in Times of Climate Change’. 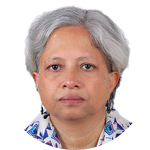 She was Scientific Chair of the World Environmental Education Congress (WEEC) in 2007, and she has been socio-scientific committee member and keynote speaker at a number of the WEEC since 2003. Her research interests include critical research methodologies, transformative environmental learning, agency, and education system transformation. 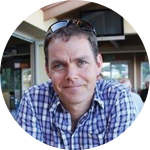 Cam Mackenzie is currently principal of the Amaroo Environmental Education Centre – Queensland, Australia and is currently Vice President and past Treasurer of the Australian Association of Environment Education. He is also the current President of the Darling Downs Environment Council. He has been involved in environmental education since 1980 and has been a principal advisor – environmental sustainability for the Department of Education and Training in Queensland. He represented Australia on the Environment and Schools Initiative, a network of environmental educators based in Europe and the Global Environmental Education Partnership, and the Queensland representative on the National Environmental Education Council, National Environmental Education Network and Australian Sustainable Schools Initiative working group. He was the co-convenor of the WEEC 2011 in Brisbane and has attended the WEEC 2007 in Durban, South Africa and WEEC 2015 in Gothenburg, Sweden. Cam is a judge for the Queensland Premier’s Sustainability and Australian Banksia Foundation Environmental Awards. 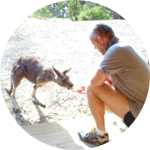 In 2011 he was awarded the Queensland Government’s Australia Day Medal for his service to environmental education in Queensland as well as Environmental Educator of the Year Award from the Australian Association for Environmental Education. 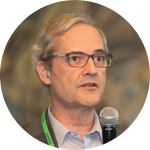 Pepe Marcos-Iga has over 20 years of international experience as an environmental communicator and educator, with a background in capacity building, cultural competencies development, and online training and networking. As the Chief Operating Officer at the Western National Parks Association, he is helping partner National Parks in the Western United States grow and diversify their education, interpretation and research activities. For over a decade, he worked as the International Programs Director at the Environmental Education Exchange, managing a wide array of bilingual networking and capacity building efforts for environmental educators along the US-Mexico Border, across North America and beyond, including conferences, training workshops and social networking that reached thousands of educators globally. As part of this work, he served as a member of the leadership team of the EECapacity project, EPA’s National Environmental Education Program, in partnership with Cornell University and NAAEE. Pepe has served on NAAEE’s board since 2007, expanding and diversifying the organization’s reach, working with key partners to increase participation from Mexican and Canadian professionals as well as from underserved audiences within the U.S. As part of the Guidelines Trainer’s Bureau, he has worked to take the Guidelines for Excellence in Environmental Education to Spanish speaking educators. Pepe holds a Ph.D. and a M.Sc. in Natural Resources with a focus on Environmental Learning from the University of Arizona, as well as a M.Sc. and Bachelor Degree in Communications and Media Arts from Monterrey Tech and University of Monterrey respectively. Milton McClaren is an Emeritus Professor of Education in the Faculty of Education at Simon Fraser University and an Adjunct Professor in the School of Environment and Sustainability at Royal Roads University. He served at SFU as the first Dean of the Division of Continuing Education, Director of the Professional Development Program (Pre-Service Teacher Education) and as the first Director of Field Programs for the Faculty of Education at SFU. In 1971 he initiated the Environmental Education program in the Faculty of Education and developed the Summer Institute in Environmental Education, a program currently in its 37th year of operation, as well as the undergraduate Minor in Environmental Education, and M.A. (Education), M.Sc. (Education) and M.Ed. cohorts focusing on EE. In 2000 he proposed a new degree program for Royal Roads University, the Master of Arts in Environmental Education and Communication. The program was approved by the BC University Programs Board and is now enrolling its 12th cohort of Masters students. Milt is currently a cohort supervisor in the SFU Ed.D. program in Transformative Change where his students are senior administrators in the K-12 and post-secondary education systems. He is a member of the Advisory Board for the School of and Sustainability at RRU, and is also a member of the Board of the Self Design Foundation. In 2016 he will give the Bateman Lecture at Royal Roads University in Victoria, BC. Dr. Marcia McKenzie is a Professor in the Department of Educational Foundations, and Director of the Sustainability Education Research Institute at the University of Saskatchewan, Canada (seri.usask.ca). 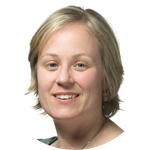 She is Principal Investigator of the Sustainability and Education Policy Network (sepn.ca), a SSHRC-funded Partneship Grant project examining the uptake and mobility of sustainability in formal education policy and practice. 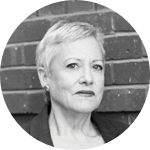 Dr. McKenzie is co-author of Critical Education and Sociomaterial Practice: Narration, Place, and the Social (Peter Lang, 2016), Place in Research: Theory, Methodology, and Methods (Routledge, 2015); and co-editor of Land Education: Rethinking Pedagogies of Place from Indigenous, Postcolonial, and Decolonizing Perspectives (Routledge, 2016), and Fields of Green: Restorying Culture, Environment, and Education (Hampton, 2009). Her research focuses on the intersections of environment, social theory, education policy, and the politics of social science research. 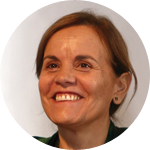 Isabel Orellana is a professor in the Department of Education of the Faculty of Educational Sciences and in the Institute of Environmental Sciences at the Université du Québec à Montréal (UQAM). She was the Director of the Masters Degree in Environmental Sciences at this university. She is a member of the direction committee of the Research Center in Education and Formation in the Environment and Eco-citizenship of UQAM and she is researcher of the Quebec Network for Research and Knowledge of Aboriginal Peoples – DIALOG. Its main areas of specialization are environmental education and community eco-development in relation to issues of eco-citizenship, socio-ecological equity and interculturality. She is interested in the social construction of knowledge in environmental education and in the processes of identity, emancipation and territoriality in a critical socio-ecological context. 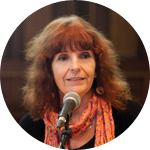 She has led and co-directed collaborative interuniversity research projects and international cooperation in Latin America and has helped to create interdisciplinary structured spaces and dialogue of university-community knowledge around the themes of eco-citizenship, ecojustice related to the problems, particularly in relation to the expansion of the extractive model. 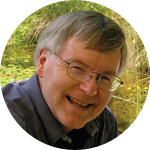 Phillip G. Payne is an independent scholar and Adjunct Professor (specializing in environmental education and its research) in the Faculty of Education at Monash University, Australia. 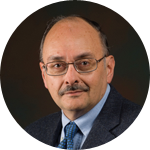 He has published approximately 100 peer reviewed academic articles and chapters; lead supervised approximately 20 higher degree research theses; and been awarded approximately 15 competitive external and internal grants. 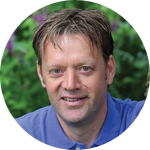 Phillip is currently Editor of Special Issues for The Journal of Environmental Education. He has previously been Editor, Associate Editor, and member of International Advisory Boards of four other journals specializing in environmental education and education for sustainability. 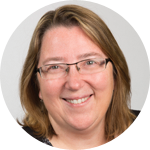 Diane Pruneau is professor at the Faculty of Education of the Université de Moncton, Canada, and director of the Littoral et Vie Research Group. Her current research interests are located in environmental and science education. Her recent national and international research projects focused on climate change education, on the development of sustainability competences (decision making, planning, problem solving, design thinking) and on the use of ICTs in problem solving and scientific communication. 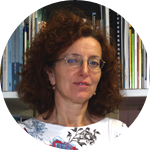 She has been involved in international and interdisciplinary projects on environmental problem solving and on adaptation to climate change : in Morocco, Romania, Tunisia and Brazil. Mrs. Gayatri Raghwa is the Executive Director at the Wild Ecologue and a free-lance Environment Educational consultant from India. She is a well-known practitioner in the field of environment education. She worked for a long time with the Environment Agency – Abu Dhabi where she helped strategize, develop and design programmes on environment education and education for sustainable development that are still being implemented in schools and colleges/ universities. Some of the well-known initiatives that she helped develop are the Sustainable Schools and Sustainable Campus Initiatives. She took her M.Phil. degree on “Human impact on the Environment”. She has been ardently committed to spreading education and awareness about the environment since her University days. She taught for several years at the university and high school before devoting 15 years at the Environment Agency- Abu Dhabi, where she helped give shape to Environment Education. She has also coauthored several publications and resource materials on environmental education. She is a member on many national and international panels associated with environment education and high schools including the Global Environment Education Partnership, Zayed Future Energy Prize, Global University Partnership and so on. At, Wild Ecologue, she continues with her work on sustainability education. 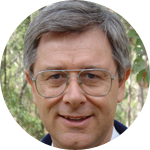 Alan Reid is an Associate Professor in the Faculty of Education, Monash University. He edits Environmental Education Research, and is a member of the Education, Environment and Sustainability Faculty Research Group. Until 2012, he worked at the Centre for Research in Education and the Environment, University of Bath, and is active in a range of environmental education research activities and networks, primarily in Europe, North America and Australasia. Alan’s research interests focus on teachers’ thinking and practice in environmental education, and traditions, capacities and issues in environmental education theory, research and practice. His research students are strongly encouraged to consider what is necessary and sufficient as environmental education research, including who claims the power to construct and fix a debate about environmental education within particular boundaries of discussion or inquiry. Alan is also the Associate Dean (Education) for the Faculty, the portfolio for which addresses course governance, leadership, development and evaluation, teaching and learning quality and innovation, and resources, opportunities and support for high quality education. Alan’s teaching commitments and interests principally focus on environmental and sustainability education, and research approaches and professional inquiry in education. He is also an associate editor of Journal of Curriculum Studies. 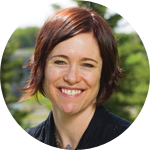 Dr. Emily Root is an Assistant Professor in the Department of Community Studies at Cape Breton University, and incoming editor (2017) of the Canadian Journal of Environmental Education. Her research and teaching interests include Settler decolonizing and intercultural relationships; Education for reconciliation; Indigenous Land-education; Outdoor, experiential, and environmental education; Critical place-based education; Self-directed learning; and Friluftsliv (Norwegian ‘free-air-life’). Constance Russell is a Professor in the Faculty of Education, Lakehead University in Thunder Bay, Canada where she teaches courses in environmental education, outdoor education, interspecies education, social justice education, and proposal writing and is the chair of the university’s Senate Research Committee as well as the Sustainability Stewardship Council Academic Working Group. Dr. Russell edited the Canadian Journal of Environmental Education for 12 years (2004-2016) and Pathways: Ontario Journal of Outdoor Education for 4 years (1999-2003) and is a current or past member of the editorial boards of Environmental Education Research, Journal of Environmental Education, Australian Journal of Environmental Education, and Journal of Experiential Education. 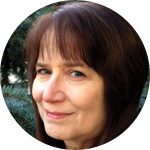 She is also the co-editor the Peter Lang book series, Rethinking Environmental Education. Her co-edited book, The Fat Pedagogy Reader: Challenging Weight-Based Oppression Through Critical Education was published in 2016 and her next co-edited book, The Environmental Education Reader is due out in 2017. Ingrid Pramling Samuelsson is Professor of Early Childhood Education at the Department of Education, Communication and Learning at the University of Gothenburg, Sweden. Her main research field is young children’s learning and curriculum questions of early years education. Her many research studies of children’s learning and play in the preschool context have led to the development of a didactics approach, labelled developmental pedagogy. One of her most popular books is “The Playing-Learning Child” (originally in Swedish, but also translated to German), which is based on the idea that children are playing-learning individuals, why preschool didactics needs to integrate play and learning. She has an UNESCO Chair in Early Childhood Education and Sustainable Development and is the former world president, and now senior adviser of OMEP (Organisation Mondiale pour l´Èducation Présolaire). Kartikeya V. Sarabhai is Founder Director of the Centre for Environment Education (CEE), Centre of Excellence for Environmental Education of the Ministry of Environment, Forest and Climate Change, Government of India. He is the Chairholder of the UNESCO Chair on Education for Sustainable Development and the Human Habitat established at CEE in collaboration with CEPT University. He was a member of the UNESCO Reference Group for the Decade of Education for Sustainable Development (DESD). He is the Editor-in-chief of the Journal of Education for Sustainable Development, a Sage publication. Mr. Sarabhai took the leadership to organize the UNESCO 4th International Conference on Environmental Education (Tbilisi+30) in India in 2007 that led to discussions on efforts of EE in strengthening Education for Sustainable Development. He is the co-chair of the Global Citizenship Working Group convened by the Brookings Institute, Washington D.C., to examine how Global Citizenship Education is measured, and make recommendations for new ways of assessing learning. He is also the Co-chair of the Earth Charter International Council. Under his leadership, through Paryavaran Mitra, a nationwide environmental education programme, CEE reaches out to about 200,000 schools in India. The Government of India conferred Shri Sarabhai with the Padma Shri in 2012, in recognition of his exceptional and distinguished service in the field of Environmental Education. Mr. Sarabhai has also been selected to be awarded with the 2016 International Brandwein Medal, in recognition of his lifetime work for inspiring new generations, to experience, embrace and love nature first hand. The recognition, awarded jointly by the Brandwein Institute and the IUCN-CEC, will be presented at the IUCN World Conservation Congress (WCC) in Honolulu, Hawaii, in September 2016. Is professor and researcher at Federal University of Mato Grosso, Brazil. Her main subject is phenomenology, mythology and climate justice. Lucie Sauvé is professor at the Faculty of Education of the Université du Québec à Montréal (UQAM), Canada, and director of the Centr’ERE research center – Centre de recherche en éducation et formation relative à l’environnement et à l’écocitoyenneté. Professor Sauvé is the founder and co-responsible of the UQAM postgraduate program in environmental education. 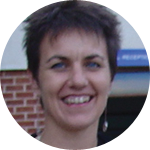 She is co-founder and director of the international research journal Éducation relative à l’environnement – Regards, Recherches, Réflexions. Lucie Sauvé has a strong experience of international cooperation projects in Latin America (Amazonian region) and won in this context two excellence awards. Her current research focuses on environmental health education (agriculture, food and water issues), energy education, ecocitizenship education and environmental educators’ and community leaders’ professional development. She received an honorary Ph.D. from the Universidad Veracruzana in Mexico, in 2015, as a recognition of her deep involvement as a researcher in ecosocial movements aiming to address crucial environmental issues. I am a Faculty Professor in the Werklund School of Education at the University of Calgary. With a background in science education, anthropology, language education and environmental education, I have studied and taught in the United States, Canada, the United Kingdom, Argentina and Mexico and have served as a Professor in Elementary Science and Environmental Education at the University of Alberta, Royal Roads University and the University of Calgary. My research and teaching interests are guided by deep enjoyment of our world and great concern for the health of our planet and its inhabitants. Through semiotic interpretive studies and personal construct research, I seek to understand how, human beings create meaning about their place in the world and the important role we all have to care for it. I strive to help educators create learning environments that recognize the power of learners’ own efforts and strategies to take actions of their own to learn. Stephen Sterling is Professor of Sustainability Education at the Centre for Sustainable Futures, Plymouth University, UK. 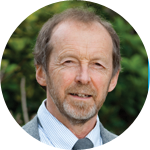 A former Senior Advisor to the UK Higher Education Academy on Education for Sustainable Development (ESD), and a National Teaching Fellow (NTF), he has worked in environmental and sustainability education in the academic and NGO fields nationally and internationally for over three decades, including as a consultant and advisor on UNESCO’S ESD programmes. He is currently co-chair of the UNESCO-Japan Prize on ESD International Jury. At Plymouth University, he leads whole-institutional change towards sustainability. Widely published, his books include (co-edited with John Huckle) Education for Sustainability (Earthscan, 1996), the Schumacher Briefing Sustainable Education – Re-visioning learning and change (Green Books 2001), Sustainability Education: Perspectives and Practice Across Higher Education (co-edited with David Selby and Paula Jones), (Earthscan 2010), and (co-edited with Larch Maxey and Heather Luna) ‘The Sustainable University – progress and prospects’ (Earthscan/Routledge 2013). 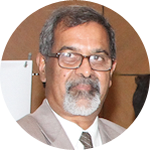 Prof. Lawrence Surendra is a Environmental and Development Economist, Science and Technology Policy Specialist, Education for Sustainable Development and HRD Expert. He is Chairman of The Sustainability Platform (TSP) of the National Design and Research Foundation of the Institution of Engineers, India. 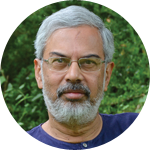 He graduated as a Chemical Engineer from Madras University, studied Economic History at the University of Lund and later worked in the area of Science and Technology Policy at the Research Policy Institute University of Lund, Sweden and specialized in Developmental and Environmental Economics from the Sorbonne University, Paris, France. He has worked closely with and been Senior Adviser to the Stockholm Environment Institute, Sweden. He has worked with UN-ESCAP, the United Nations University and UNESCO, Bangkok and UNESCO offices in Hanoi, Beijing and Seoul, South Korea. He was Deputy Director of UNESCO-APCEIU (Asia Pacific Centre for Education for International Understanding), Seoul, S.Korea. Arjen Wals is a Professor of Transformative Learning for Socio-Ecological Sustainability at Wageningen University in The Netherlands. He also holds the UNESCO Chair of Social Learning and Sustainable Development. Furthermore he is the Carl Bennet Guest Professor in Education for Sustainable Development at Gothenburg University in Sweden. He has authored and co-authored numerous books, articles, reports and chapters on topics like: action research, community problem-solving, social learning, sustainability education and, more recently, transgressive learning and disruptive capacity-building. Arjen was the Co-Chair of the past WEEC conference which was held in Gothenburg in 2015.